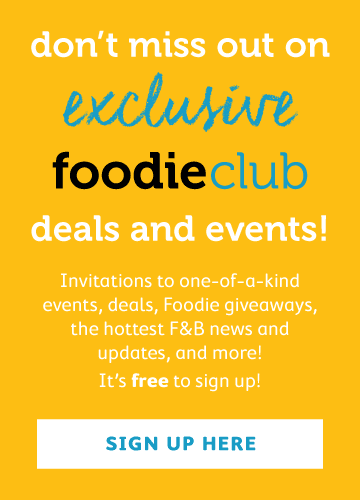 Glaciers and vast, breathtaking wilderness, a rich and ancient indigenous culture, the US’s highest mountain, wildlife and outdoor adventures, Discovery Channel’s Deadliest Catch… many things spring immediately to mind when thinking of Alaska, but food is not necessarily at the top of the list. 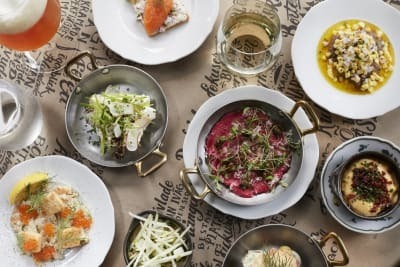 However, a fascinating summer visit showed that the 49th State – to give it one of its many nicknames – is making a name for itself thanks to its unique terroir, remarkable produce and honest, unpretentious approach to flavour and customer service. If Alaska were a country, it would be the world’s 19th largest, so one thing you have more than anywhere else is space. For busy, stressed Hong Kong travellers, it provides the perfect antidote to 24/7 city living. It allows time to pause, think, put down the phone and take in the majesty of nature. It also means that there’s a natural larder without parallel. Alaska is reachable from Hong Kong (with connections) via American Airlines, and their business-class product serves the best sundae in the skies. For trip planning and other inspiration, visit www.travelalaska.com. While some places in recent years have stressed the importance of eating local, Alaska serves as a reminder that eating local has been a way of life for thousands of years. In fact, it just doesn’t get more local than incredible Alaskan salmon, halibut and king crab fresh from the frigid ocean or sustainably hunted game such as moose, caribou and reindeer. 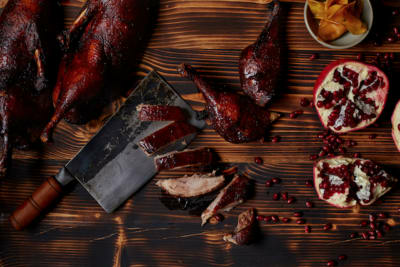 Restaurants, breweries, food trucks, markets and producers celebrate this unique natural bounty, while chefs in the US and further afield are quickly cottoning on to the unique culinary draw of the Last Frontier. In summer, parts of the state, including the second city of Fairbanks, get 24 hours of daylight for two months straight, while in winter, Alaska becomes arguably the world’s greatest location for viewing the Northern Lights. Indeed, for Asian students in the lower continental US, it has become a hugely popular destination, while some flights charter visitors from Japan and Korea to see them in all their glory. 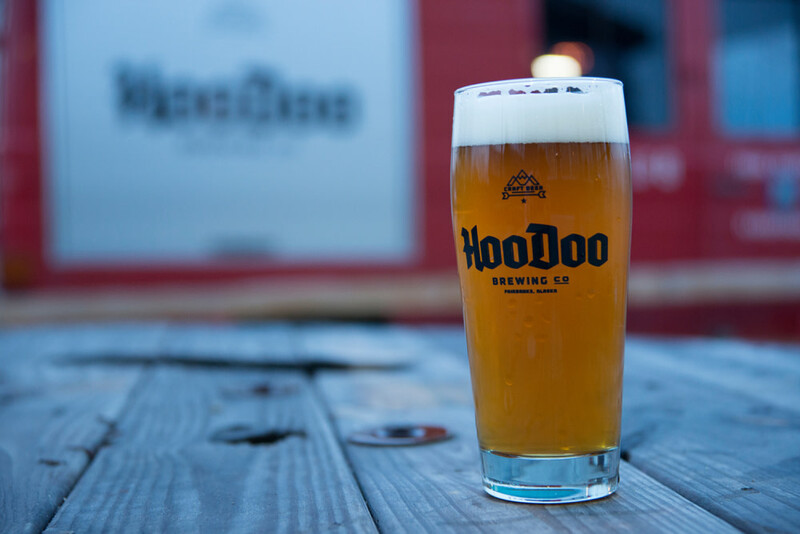 There’s no better (read: more fun) spot in Fairbanks to catch them than at HooDoo Brewing Company for eating and drinking al fresco – yes, even in winter. Their beers brewed on-site use water that doesn’t get any fresher, turning into a crisp German Kölsch, Citra Pale Ale or HooDoo Stout. The thriving local food truck scene rotates its offerings to hungry patrons, who gather round huge fire pits, meaning the cultural mash-up of blackened salmon tacos from Frostbite Foods and proper bratwurst and sauerkraut from Mein Diner keep them coming back for more. One of the great surprises for visitors to Fairbanks, especially as a visitor coming from Asia, is the remarkable range of Thai restaurants. In a metropolitan area with less than 100,000 people, there are more than 20 to choose from. They’re the real deal too, run by Thai families, and nowhere is this more so than at Lemongrass, known as one of the city’s best. 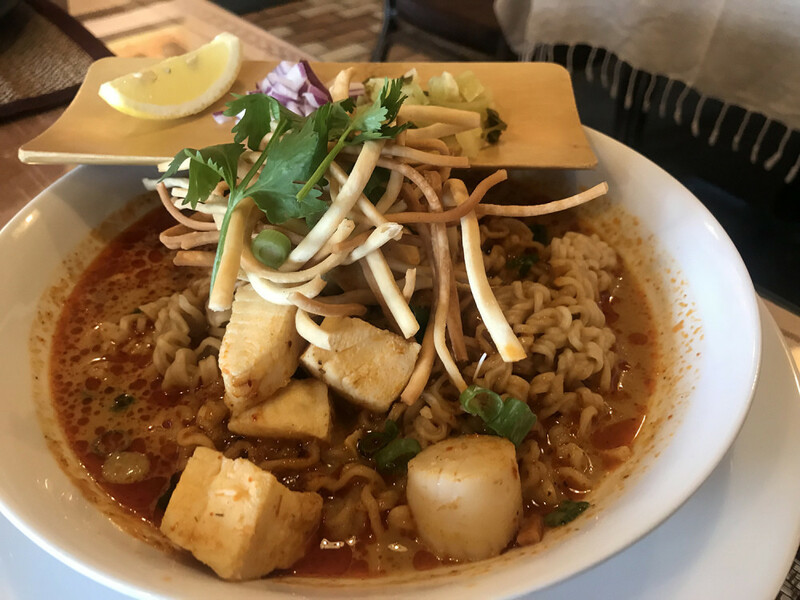 The owners are from Chiang Mai, meaning that their khao soi is sensational, that perfect heady mix of textures and flavours, warming the soul and the body with garlic, lemongrass, lime leaves, turmeric, ginger and much, much more. But wherever you head across the wide-ranging menu, genuine spice and execution are guaranteed. Their tagline? Making Alaska hotter since 1996. SpringHill Suites by Marriott is a great place to stay in Fairbanks, while handily it’s also home to one of the most buzzing places to eat. Lavelle’s Bistro is a revelation, a thriving and energetic spot that is always filled with diners – and those waiting to eat. Cutely, starters are called “prospects” and include a scandalously good king crab and artichoke dip. Richer and thicker than the cast of Downton Abbey, it’s the very definition of cheesy seafood indulgence. Pan-seared Alaskan halibut (a vastly underrated fish) is topped with a honey and apple cream sauce and served with the sort of mashed potato you dream about. And the best bit? 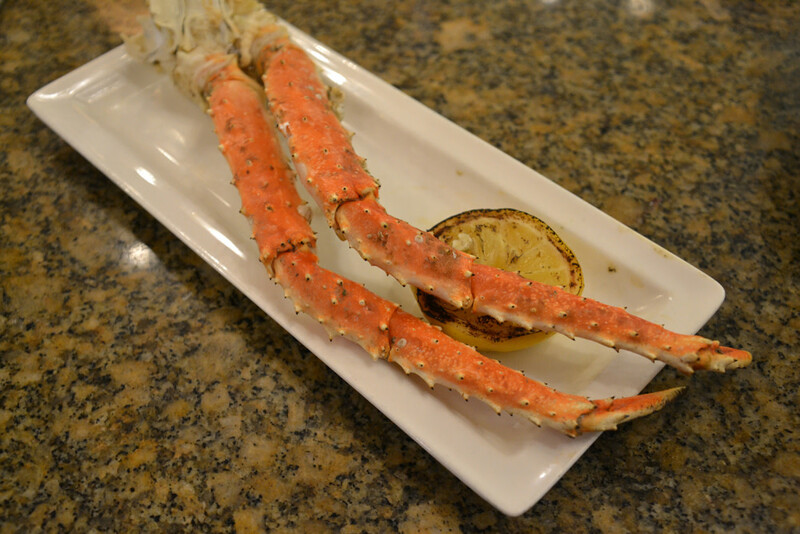 Eight ounces of wild-caught Alaskan king crab legs can be added to any main – you know it makes sense. 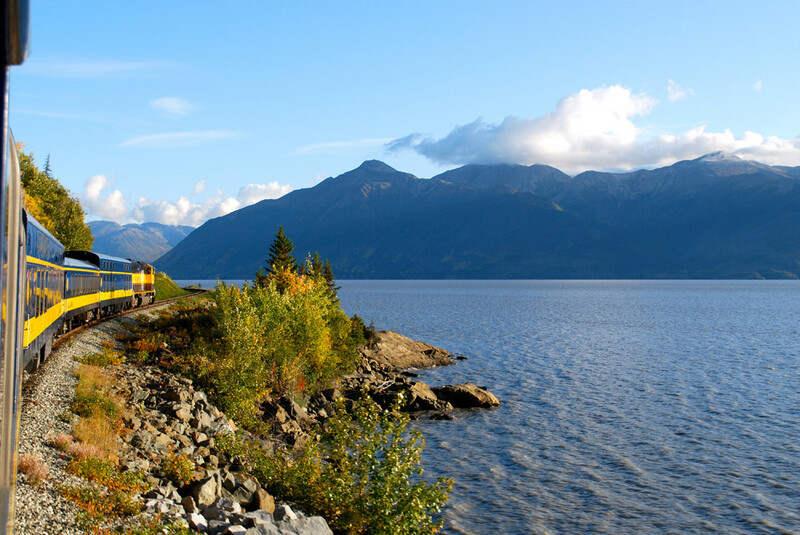 The Alaska Railroad is simply one of the world’s great journeys. The 750 kilometres from Fairbanks to Anchorage takes almost 12 hours, but you’ll wish it took longer. The iconic blue and yellow cars wind their way through jaw-dropping scenery that includes skirting Denali, the highest mountain in the US. You’ll see moose and bald eagles, dall sheep and Arctic foxes (if you’re lucky). Their GoldStar Service feeds and waters you pretty much the whole way, in serious style. At 9:22am on my visit, a 78-year-old ordered a mimosa – it’s that kind of experience. 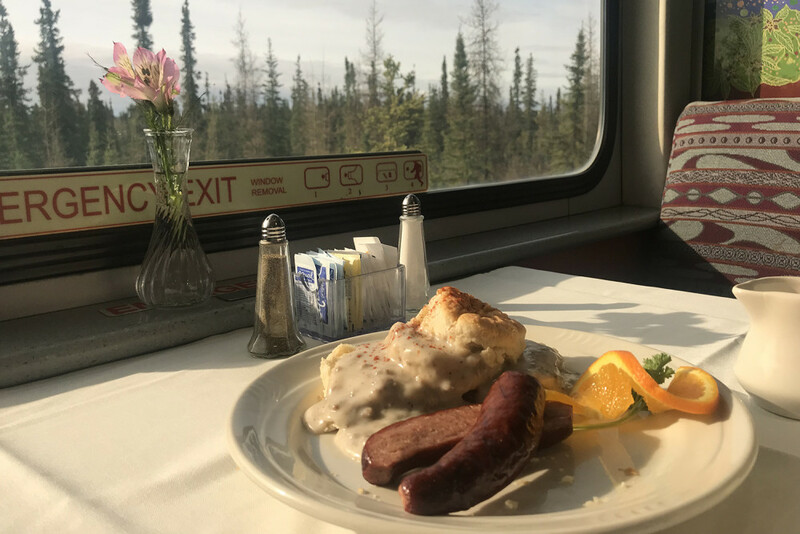 Breakfast could start with local cream of barley from the Alaska Flour Company, before moving on to the seriously hearty Aurora Breakfast with eggs, potatoes, bacon and brilliant reindeer sausage from local Indian Valley Meats. The best side order is the views, which almost stop you from eating. This continues with liquid lunches that are lubricated by local craft beers, American wines and freshly prepared cocktails. Anchorage is the Big Smoke, at least by Alaskan standards. The name of the 49th State Brewing Company is a reminder to visitors that it only became a state as recently as 1959. This friendly “brewpub” overlooks the waters of the wonderfully named Turnagain Arm inlet and serves many of its own pours to hungry local and international visitors. 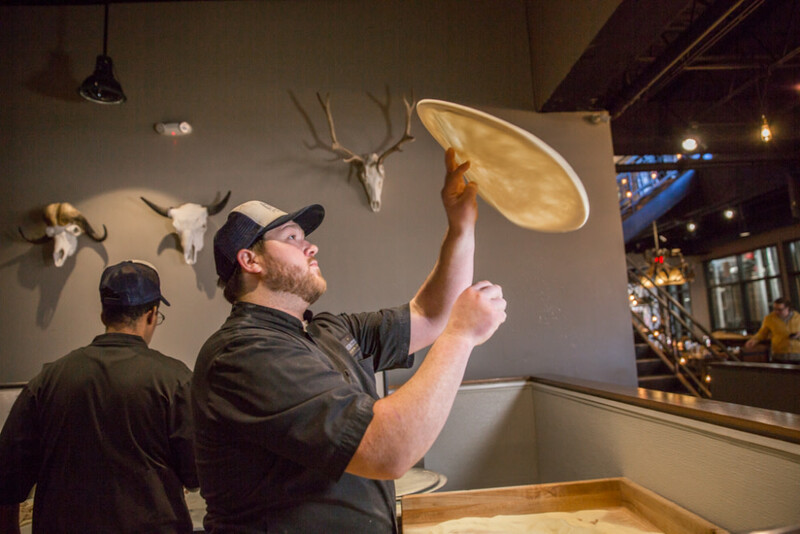 On the menu, wood-fired pizzas are very popular, but we were steered towards some signatures. The handmade Bavarian pretzel is called “our brewer’s favourite”, understandably so when dunked into the cheese sauce made with 49er beer. King crab ravioli was tossed in a tarragon cream sauce with roasted shiitake mushrooms and a mound of Parmigiano-Reggiano, but for lighter appetites, the reindeer hot dog is another popular draw. 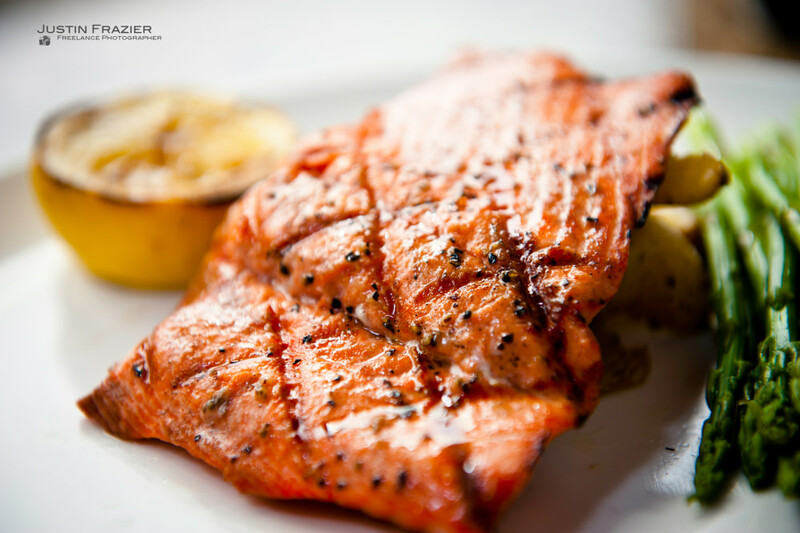 It’s remarkable that arguably the most famous Alaskan produce – king salmon – has yet to get a proper mention. Salmon is everything in Alaska – more than a food, but a way of life. It is also the best salmon you’ll ever eat, and after a few days spent in its terroir, it’ll be clear why. Some of the best comes from the hilariously named Ship Creek (just be careful how you pronounce it, especially after a couple of ales). Simon & Seafort’s may be one of the poshest dining spots in town, but this being Alaska, there’s not even a hint of superiority. For 40 years, they have been welcoming diners with a menu celebrating the finest local eats. None is finer than the Alaskan ceviche that includes king crab, halibut, side-stripe shrimp, avocado, lime juice and tequila, served with crisp tortilla chips. But save room for that salmon, blackened beautifully on a cedar plank.